Jaron Lowenstein of Jaron and the Long Road to Love has recorded a genre-bending album with Joe Firstman and their new band Cordovas. Produced by Rick Parker and Firstman, the new album blends Southern Rock, Alt/Country, Gospel and Bluegrass. The band has made the album available for sale at live shows, digitally worldwide on iTunes and for free download at their website, TheCordovas.com. Their decision to allow it to be downloaded for free stems from their belief that art should be made available to everyone with no barrier of entry. 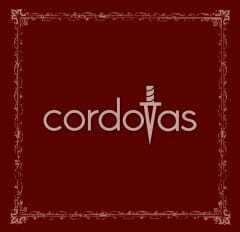 Cordovas is a six-piece band fronted by lead singers Jaron Lowenstein, Joe Firstman and Jon Loyd. Lowenstein is best known for his country single “Pray For You,” as well as his early 2000s single “Crazy For This Girl,” from Evan and Jaron.